I am excited to share with you today a look at the collegiate cards I have been making recently. I wanted to make some card sets featuring the colors of certain colleges, and I have decided to show you some of the results! Below, I am posting the link to my latest YouTube video that shows you how to make a simple thank you card using your favorite school's colors. This is great for beginners, as no die cutting is necessary. The heat embossing I do can easily be replaced with regular ink, too. 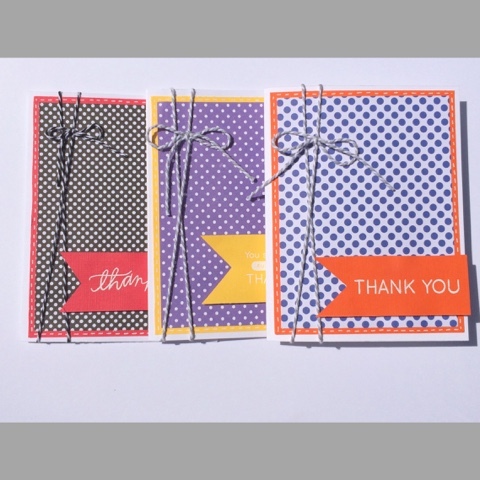 These three cards feature stamps from Simon Says Stamp's Many Thanks stamp set. In this video, I show this card using the colors of LSU, Auburn, and UGA. I love how they turned out! As always, thank you so much for visiting my website! I hope you take the time to check out my YouTube tutorial!